The championships are split over a number of meetings and incorporated into the Welsh Athletics Opens in Cardiff. Maczugowski took golds in the under-13 200m, high jump and shot. He set a new 200m PB of 28.97 seconds to win that event, with Erme Valley Harriers’ Adam Dingley running a new best of 29.78 to claim bronze. Maczugowski leaped 1.36m in the high jump and threw 7.26m in the shot. There were also South West gold medals for City of Plymouth’s Mali Heard, Erin Muldoon and Ben Foster and a bronze for team-mate Lili Fern. Heard and Fern both made the podium in the under-15 girls’ 200m event. Heard won with a new PB time of 26.96, with Fern taking third in 27.43, which was also a PB for her. Tavistock’s Grace Wonnacott also competed in the same event and set a new best of 30.50 seconds. Muldoon’s regional gold came in the under-15 high jump where she leaped a new best of 1.51m. 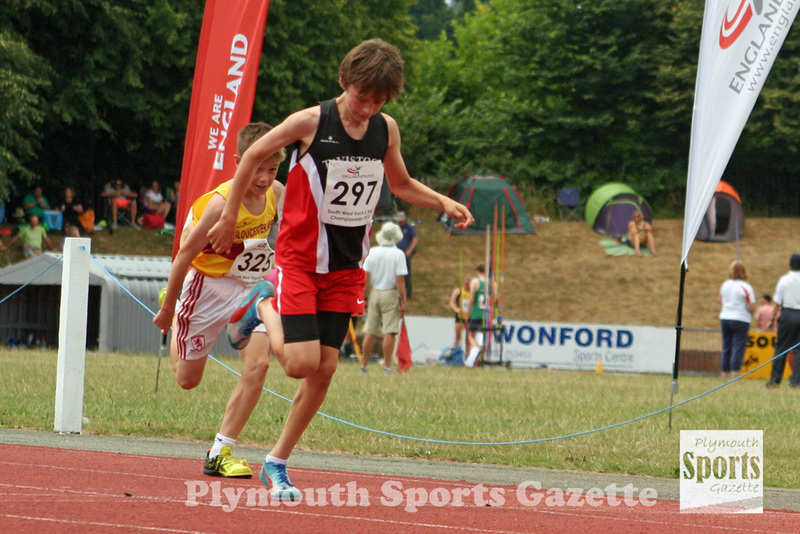 Fellow City of Plymouth athlete Henry Curtis made his debut over 400m having just moved up into the under-17 category, where he ran 57.97 seconds. Curtis, better known for his sprint hurdling, also clocked 25.84 seconds for the 200m. The next part of the championships for under-13, under-15 and under-17s will be held on January 6 and will feature the hurdles, 800m, 1,500m, long jump and pole vault.